Being very similar to smartphones in both hardware and software, smartwatches are quickly becoming the hottest new piece of consumer tech. Also like smartphones, they’re being supported by an ever-growing ecosystem of mobile applications – some adapted from existing phone apps, some entirely new. With this comes a variety of more esoteric programs that can get your smartwatch to do some pretty interesting things. Here are just a few functions you probably didn’t know your watch could perform. Many mobile games such as the location-based war game Ingress or traditional ones such as solitaire are available for Android Wear and Apple’s Watch OS. It takes gaming on the go to a whole new level – now you don’t even need to take out a notepad or phone to challenge someone to a game of noughts and crosses! There are productivity suites out there which let you view and remotely control your work documents. One such example, OfficeSuite, lets you control PowerPoint presentations directly from your watch. Never has giving a presentation been easier. A handful of different developers have produced apps that give your smartwatch remote control over other network devices it connects to. This could be as complex as being able to access your home’s smart heating system and turning it on before you arrive. The possibilities are as endless as they are with smartphones, but extending the power to your watch adds a new dimension of convenience and security. 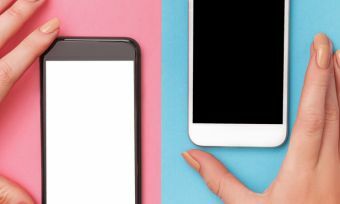 It didn’t take long for smartphones to become a platform for online dating, with apps like Tinder, Zoosk and many more taking social interaction into a whole new domain. Several of these apps have now made it to smartwatch systems, meaning you can search for attractive people nearby with more ease than ever before – and all without the antisocial appearance of staring at your phone!